ATLANTA - Oct. 2, 2013 - PRLog -- While local school children were getting ready to debut their new looks for the first day of school by shopping for new clothes and back-to-school supplies, Elizabeth Bailey was adjusting to a few exciting new changes in her own life. Having just made the move to Georgia from Alabama with her family, this professional photographer and mom of two suddenly found herself in a new house and a new community in Woodstock with a brand new business as Spoiled Rotten® Photography’s first Georgia franchisee. A life-long Birmingham native, Bailey graduated from Auburn University with a degree in Elementary Education. She taught 4th and 5th grade for several years before starting a family with her husband, Jonathan. 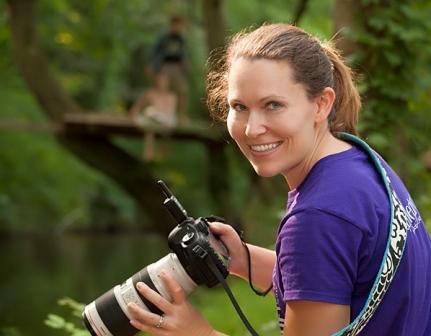 During her time at home with her first of two daughters, Bailey discovered her passion and talent for capturing images. What had once been a beloved hobby soon became a successful business when she launched E. Bailey Photography in Madison and later Birmingham, Alabama – focusing primarily on portraits of newborns, children and families. She also underwent a rigorous certification process and was awarded her credentials as a certified professional photographer. In early 2013, Bailey learned that her husband was being transferred to the Metro Atlanta area and she had an important decision to make. A year ago, Bailey had met Melissa Tash – the founder of Alabama-based Spoiled Rotten Photography – at a photography workshop. Launched in Huntsville in 2003, Spoiled Rotten Photography specializes in portraits of exceptional quality for preschool age children. In the years since Tash left her former careers as an Industrial Engineer for Nike® and a Payload Crew Trainer for NASA’s International Space Station program to pursue her true passion for photography, she has worked tirelessly to streamline her company’s systems, develop proprietary software, create effective marketing materials, and write a guidebook to “kid wrangling” in anticipation of the day she might begin franchising her one-of-a-kind concept to other entrepreneurs who shared her love of children and photography. In 2012, she partnered with Tra Williams of Eastbourne Brands – a Florida-based multi-brand conglomerate – to make the transition from one highly successful location to a viable national franchise concept. Bailey’s chance encounter with Tash left her intrigued by the idea of downsizing her own studio and transitioning into preschool portraiture. Bailey began her training by living and breathing Spoiled Rotten Photography for two weeks in Huntsville with Tash – learning everything from approaching a school to delivering a beautiful final product. She took part in several “community involvement” photo shoots that – in addition to teaching her how to work with an assistant, adjust proper lighting for on-site shoots, and interact with the school children – also benefitted two underprivileged schools that were not being served by a photographer. Parents of the students who were photographed received a free CD of the images. Before making the move to Georgia, Bailey did her homework in hopes of finding the ideal area to raise her family and invest in the first Spoiled Rotten Photography franchise in the Peach State. While she selected Woodstock for her new hometown, she learned that Alpharetta is one of the fastest growing areas in the country. A large number of dual-income families easily supports an abundance of preschools throughout the city. In addition to Alpharetta, Bailey’s Spoiled Rotten studio will serve Milton, Roswell and Johns Creek. As well as a variety of Fall and Spring sets for school portraits, Bailey offers a Christmas set, Cap & Gown set for preschool graduation, “Campus Candids” – which involve outdoor sessions around the school campus, and custom sessions for families. Preschool directors who are interested in setting a meeting with Bailey are encouraged to call (770) 744-3049 or e-mail Elizabeth@spoiledrottenphotography.com. To learn more about Spoiled Rotten® Photography, prospective franchisees are invited to visit the company’s website at www.spoiledrottenphotography.com. Those who wish to inquire about opening a Spoiled Rotten Photography franchise in their own hometown are encouraged to reach out to Tra Williams of Eastbourne Brands at tra@eastbournebrands.com.